“Disobey” je njihov treći po redu album na kojem se našlo 9 songova sa jakim anti-establišment i anti-političkim stavovima, obojeni jednom vrstu osude američke svakodevne i zvanične politike. U marketinškom smislu bend je do sada zaista uradio prilično na vlastitoj pomociji i na tome im se mogu izreći samo reči hvale. U muzičkom smislu bend na moderan način tretira rock formu, koja je ponekad obojena više punkoidnim nabojem, drugi put više metaliziranim soundom, ali treba dodati da je njihov materijal vlo melodičan i slušljiv. Nekoliko songova su izrazito pamtljivi poput naslovn “Disobey”, “My Baby Loves Rock And Roll”, “Fake News”, “Emancipation”..Karijera Refusersa ide uzlaznom linijom, što dokazuje i ozbiljnost aktuelnog materijala. 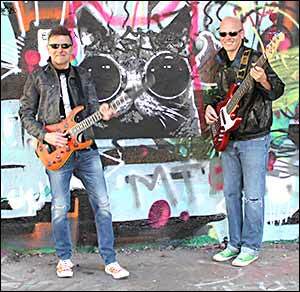 Formed back in 2010, a Seattle band fronted by vocalist/guitarist / songwriter Michael Belkin, a former Wall Street insider, is constantly active with its musical and promotional activities. “Disobey” is their third album, featuring 9 songs with strong anti-establishment and anti-political attitudes, colored by a kind of condemnation of American daily and official politics. Judging by mention promotional activities, the band has so far really done pretty much , and only words of respect can be pronounced on this. Musically, the band treats the rock form in a modern way, which is sometimes colored more with so call punk edge, the second time with more metallized sound, but it should be added that their material is melodious and listenable. 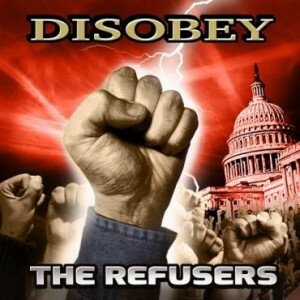 Several songs are remarkably memorable like the s/t title “Disobey”, “My Baby Loves Rock And Roll”, “Fake News”, “Emancipation”… The Refusers are alive and well, which proves the seriousness of the current material. Ćoškari u Zaokretu – 024 – Marija Dragićević (Jenner)	“Live At Capitol Theatre” novo koncertno izdanje Sheryl Crow od 26.oktobra 2018.